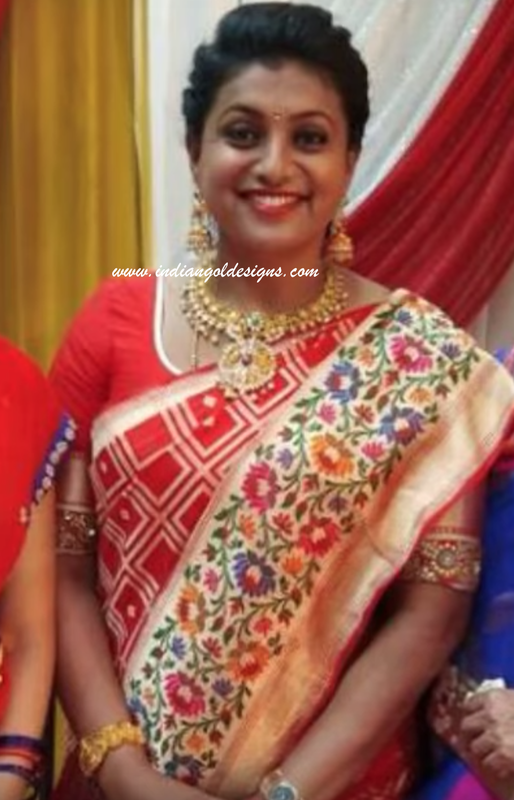 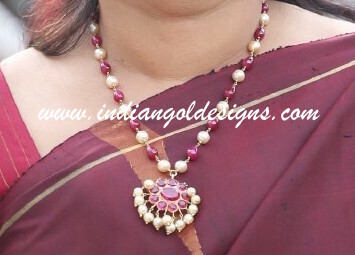 Checkout 22k gold necklace studded with ruby at the centre. 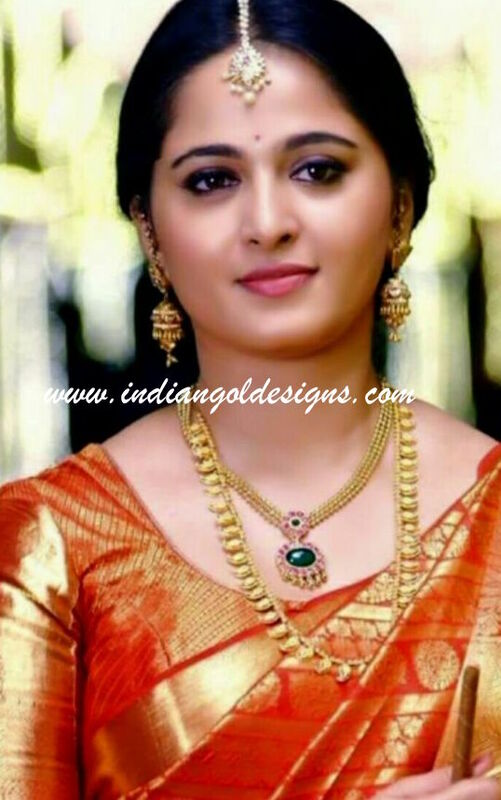 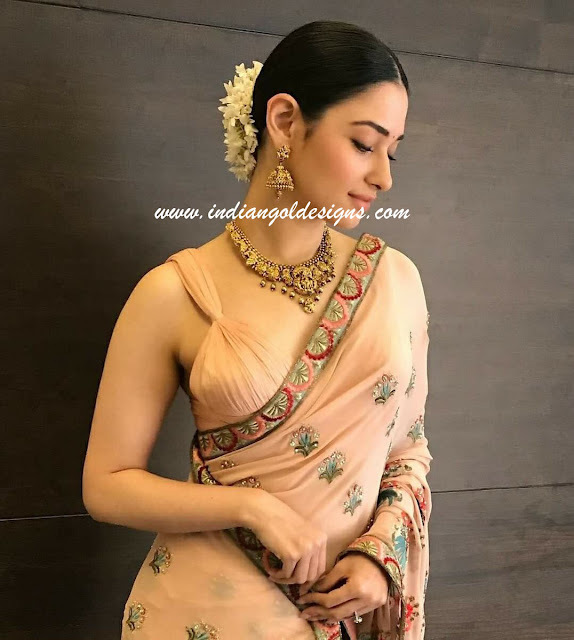 Checkout rakul preet singh in 22k gold bridal necklace paired with matching haar and earrings and bangles. Kasulaperu long haaram design. 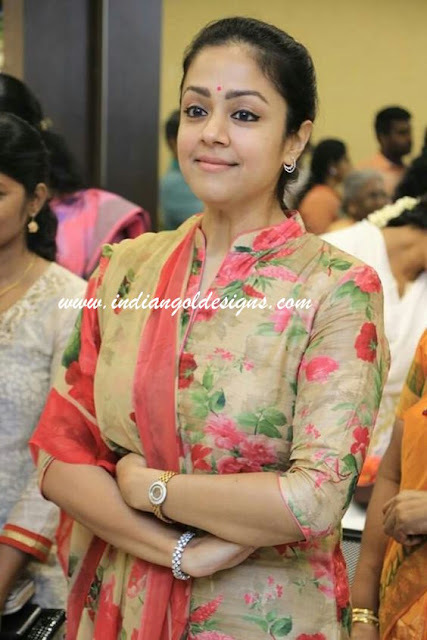 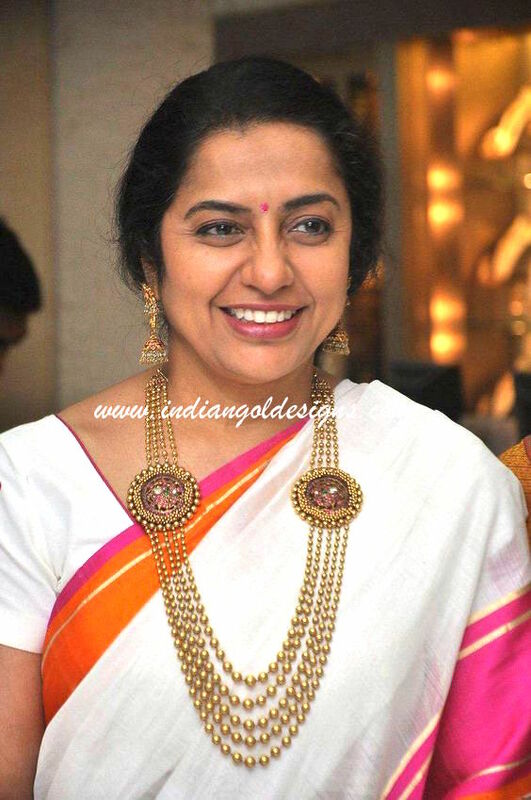 Checkout jyothika in simple diamond earrings paired with diamond bangle. 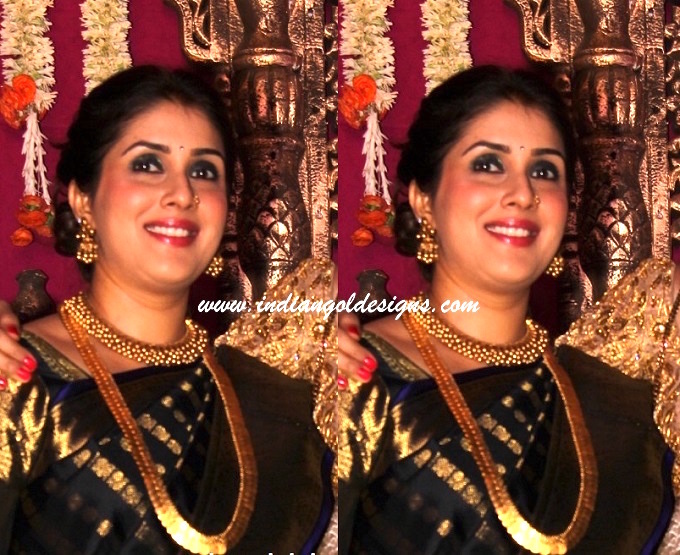 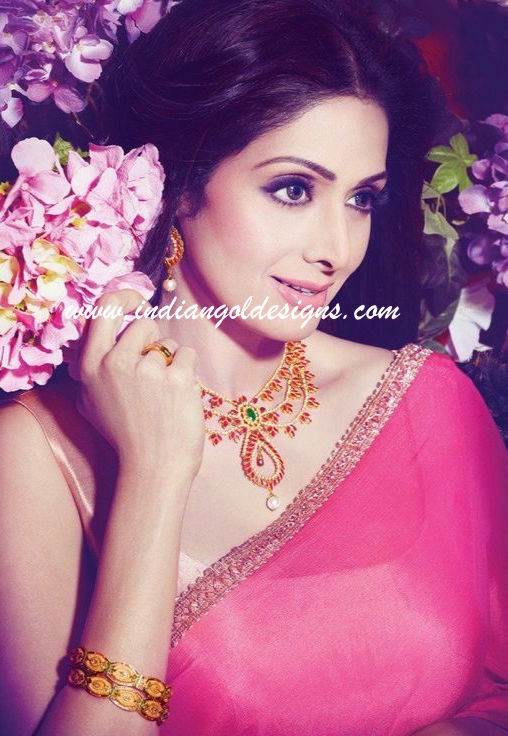 Checkout sridevi in 22k gold ruby necklace paired with matching earrings and bangles. 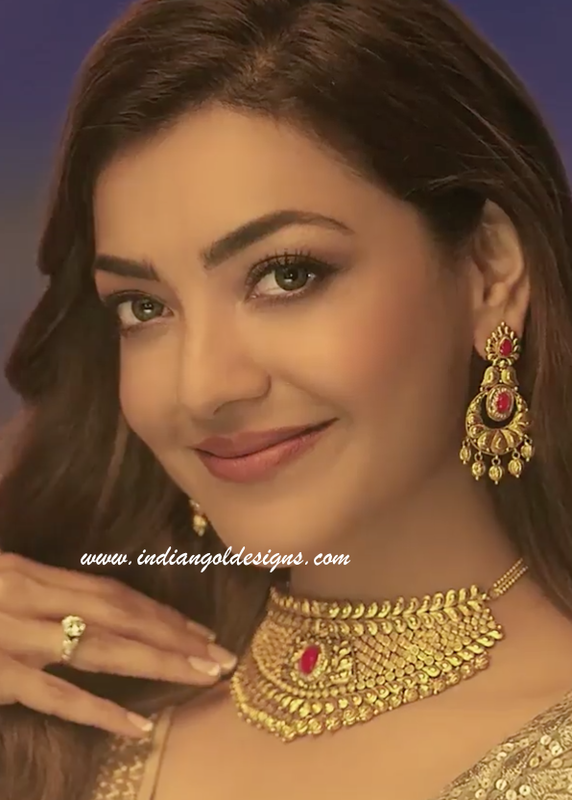 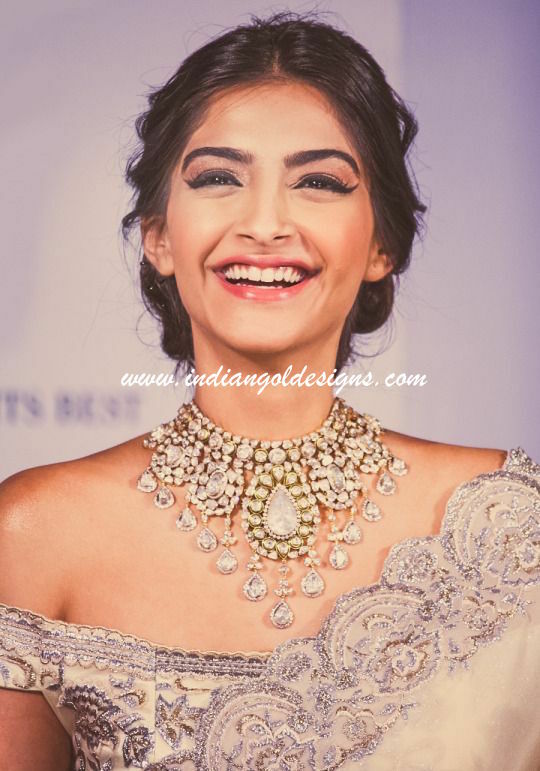 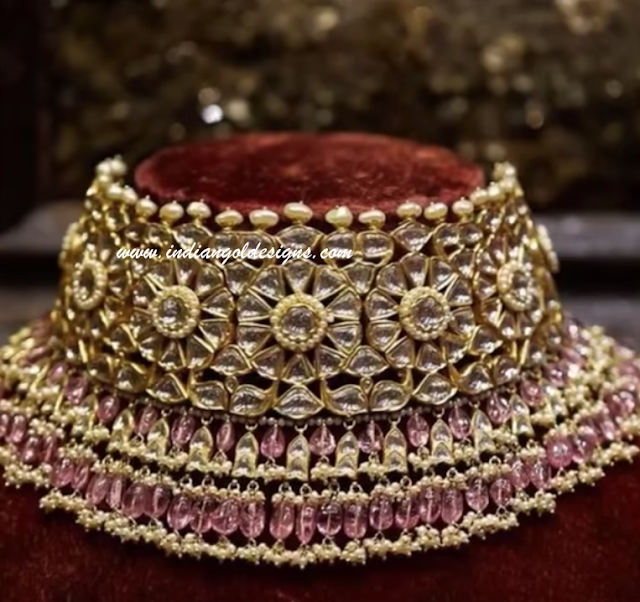 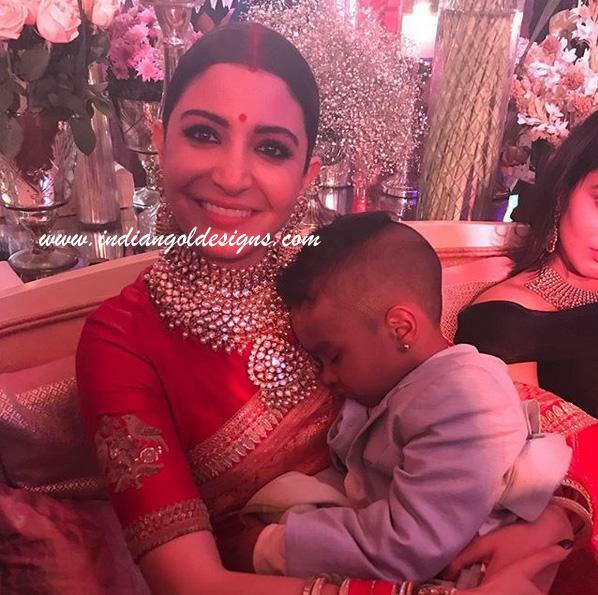 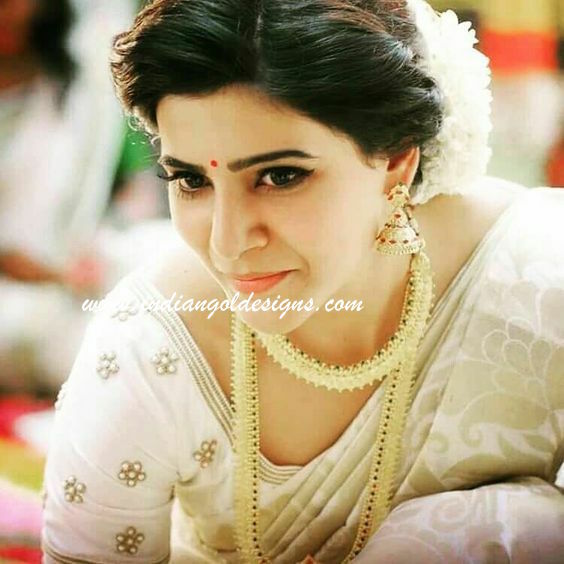 Checkout anushka sharma diamond bridal necklace. 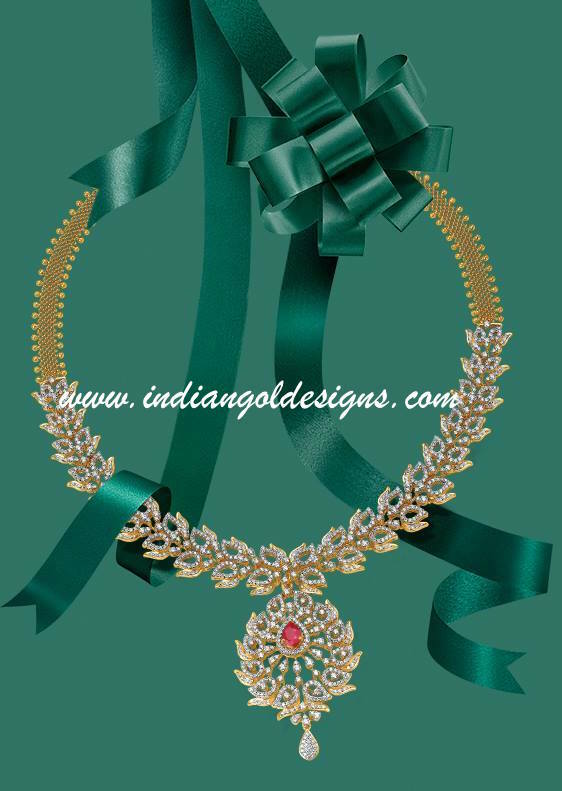 The beautiful bridal necklace is in 22k gold , studded with uncut diamonds, pearls and gemstones. 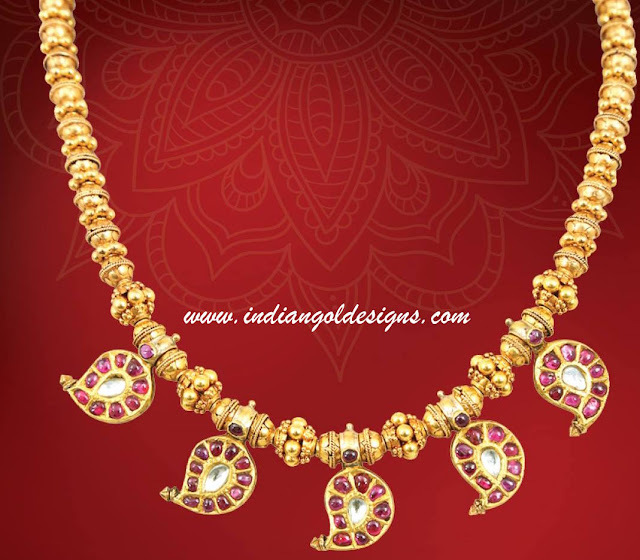 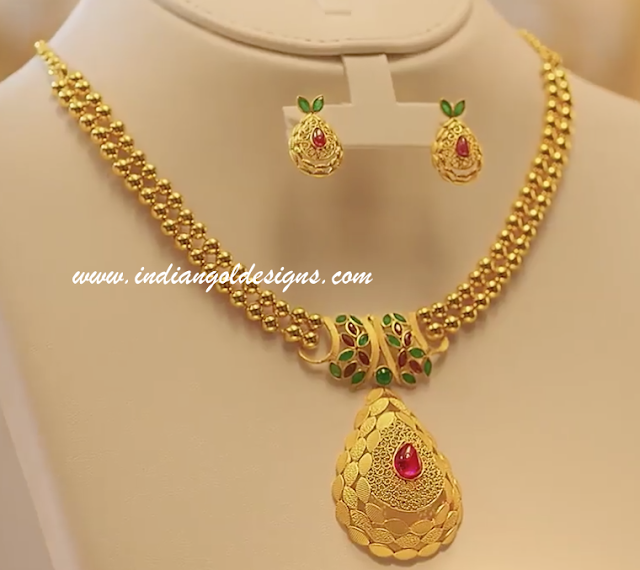 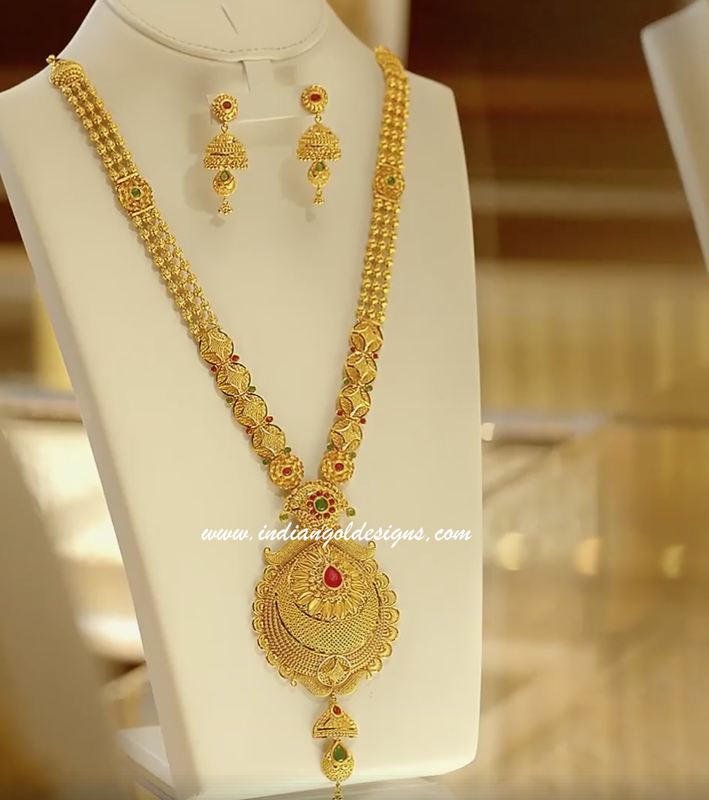 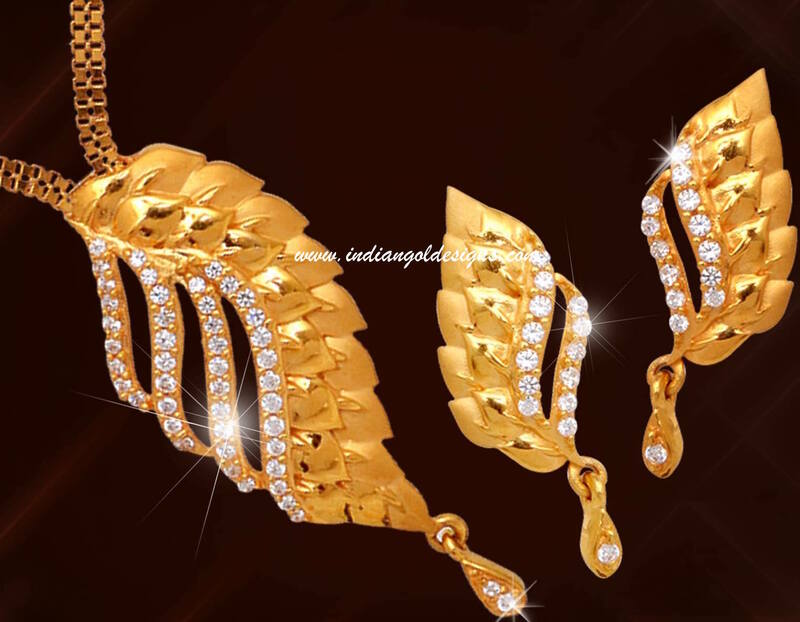 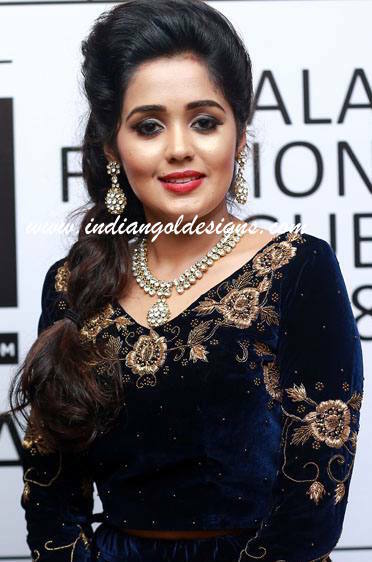 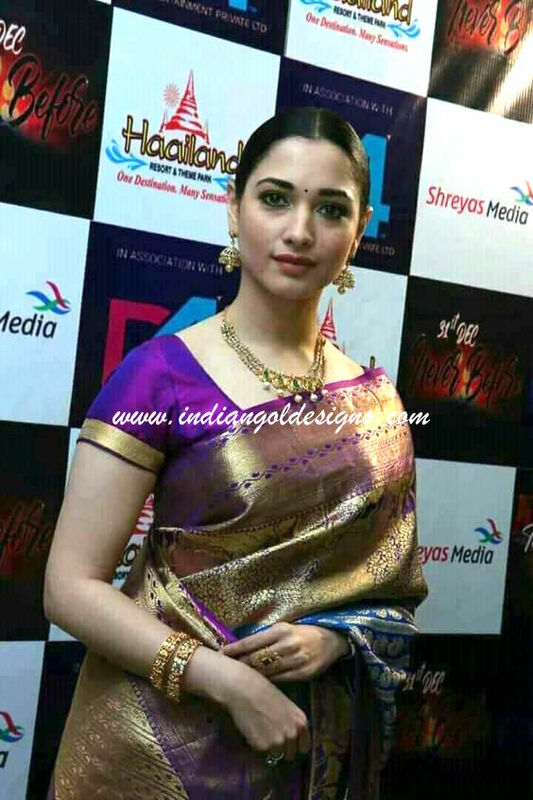 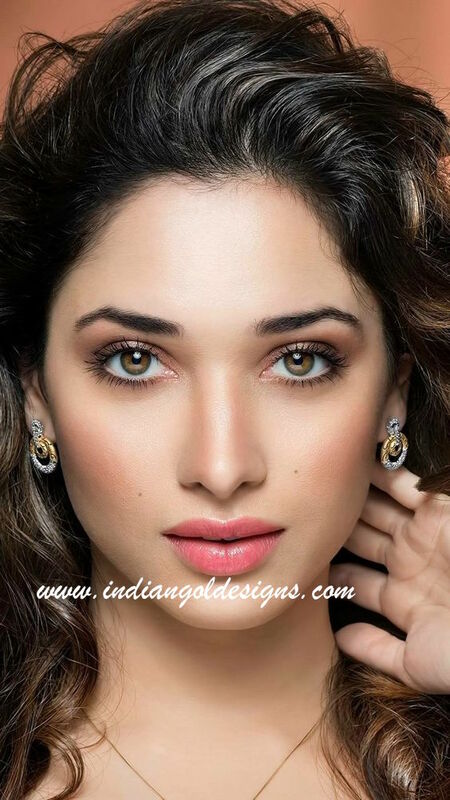 Checkout 18k gold designer diamond necklace studded with ruby and Tanishq jewellers.